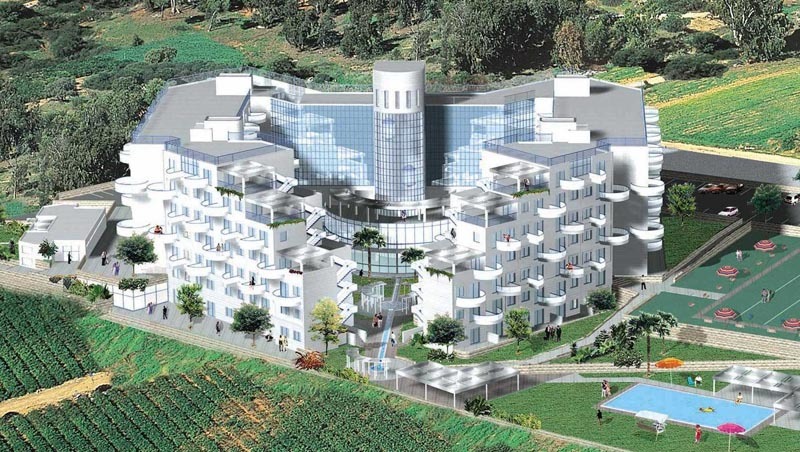 A retirement village in the heart of Even Yehuda which opened its doors to the public in July 2001, and consists of 205 apartments and a frail care nursing unit of 77 beds, including a closed ward. This project was promoted and developed by Eddie Weiss and the original investment in this project came from Investors all over the world. In 2006, the project was taken over and was spearheaded and negotiated by WAVE on behalf of a Foreign Company. A vast amount of refurbishment has been carried out including the public areas and enlargement of apartments and upgraded to meet today’s hi-tech requirements and comfort of the tenant initiated and supervised by Eddie Weiss. The project to date is 97% occupied. 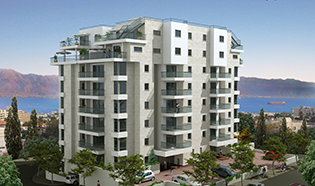 Today, Ganei Sharonim stands in line with all similar projects and has made an impression on the market. The project is run and managed by Eddie Weiss who is the sole representative of the Foreign Company and the Chairman of the board, and he oversees the financing, legal, management, marketing and operations of the project and company. A complex of luxurious residential apartments that is situated on a prime location in the Zofit Elite neighborhood in Eilat, Israel’s tourist capital. The building overlooks the magnificent Bay of Eilat, with its shimmering blue sea and Edomite Mountains in the distance, only one kilometer away from the north beach and Eilat’s new shopping mall on the beach front. The building comprises of seven stories, two tower blocks, consisting of 58 fully air-conditioned luxury apartments with the option of sea facing, or facing the Edomite Mountains. It has underground parking, 24 hour reception, a gym and it can be used either as a holiday apartment or all year round living. The building was completed in October 2016 and the apartments were all sold prior to completion. The majority of apartments were purchased as an investment by both Israelis and foreigners and the building is fully tenanted. The financing for the project was raised by Eddie Weiss is also a director in the company and manages all the shareholders portfolios. The development and supervision of the project was done jointly between Eddie Weiss and Dror Bar Moshe.